This Theta Tau essential layerable tank fits great and looks just right. 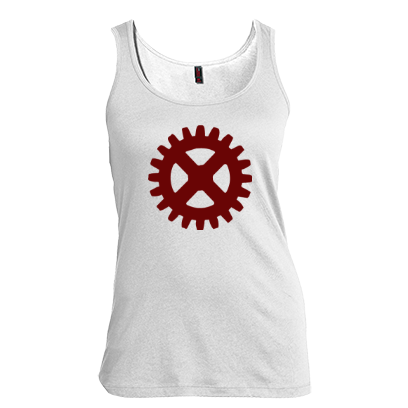 The Theta Tau tank is designed to flatter. and has a fuller cut for a roomy fit. Because this tank is a thin, 40 singles weight, the white tank will be see-through. We suggest using it as a layering piece, either on top or beneath another shirt.